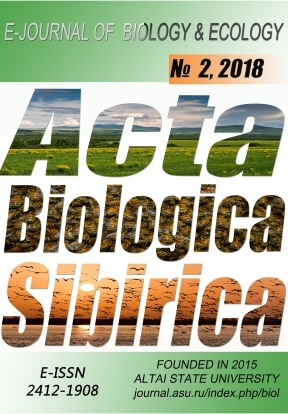 In the entomofauna of the Nakhchivan Autonomous Republic, 37 species of true bees belonging to 3 genera of the tribe Anthophorini, found at different times within the area of the autonomous republic is presented. The genus Amegilla is represented 3 subgenus (Amegilla, Micramegilla, Zebramegilla) and 7 species, the genus Anthophora 7 subgenus (Anthophora, Caranthophora, Dasymegilla, Heliophila, Lophanthophora, Melea, Paramegilla, Petalosternon, Pyganthophora) and 28 species, and the genus Hapropoda 2 species. Anthophora bimaculata (Panzer, 1798), A. richaensis Alfken, 1938, A. gracilipes (Morawitz, 1872), A. harmalae Morawitz, 1878, A. meridionalis Fedtschenko, 1875 and A. podagra Lepeletier, 1841 are newly recorded from Nakhchivan AR. The habitat landscapes of those species, biotopes and their feeding sources, entomophilous plants, are identified. Species of tribe Anthophorini feed on flowers of plant species of 19 families of the flora of the autonomous republic. A great preference is given to the flowers of the plants of the families Asteraceae, Fabaceae and Lamiaceae. Aliyev, Kh.A., Maharramov, M.M. (2007). On the studies of Apidae from the genus Anthophora Latreille, 1803 (Hymenoptera: Apoidea) in the Nakhchivan Autonomous Republic. Gornyye ekosistemy i ikh komponenty. Trudy mezhdunarodnoy konferentsii (13-18 avgusta), chast' 1. Moskva: Tovarishchestvo nauchnykh izdaniy KMK, 38-41 (in Russian). Hymenoptera of Russia. Volume I. Symphyta and Apocrita: Aculeata. Saint Petersburg. Ascher, J.S., Pickering, J. (2017). Discover Life bee species guide and world checklist (Hymenoptera: Apoidea: Anthophila). Available at: http://www.discoverlife.org/mp/20q?guide=Apoidea_species (accessed 29 Decembr 2017). Brooks R.W. (1988). Systematics and Phylogeny of the Anthophorine Bees (Hymenoptera: Anthophoridae: Anthophorini). The University of Kansas Science Bulletin, 53 (9), 436-575.
http://westpalbees.myspecies.info (accessed 29 August 2017). Michener, C.D. (2007). The Bees of the World. Baltimore: Johns Hopkins University Press. Morawitz, F. (1876). Zur Bienenfauna der Caucasusländer. Horae Societies Entomologicae Rossicae, 12 (1), 3-69. Morawitz, F. (1877) Nachtrag zur Bienenfauna Caucasiens. Horae Societatis Entomologicae Rossicae, 14 (1), 3-112. Radoszkowsky, O. (1873). Materiaux pour servir a une faune hymenopterologique de la Russie. Horae Societatis Entomologicae Rossicae, 10 (1), 190-195. Skhirtladze, I.A. (1981). Pchelinye Zakavkaz’ya (Hymenoptera, Apoidea) Tbilisi: Metsniereba (in Russian).